There’s a trend developing – and homeowners are starting to notice. What was once considered a luxury has now become the norm; a norm that buyers and agents alike are placing at the top of their must-have list when searching for the next move. The trend? Smart homes. More specifically, smart home kitchen products. 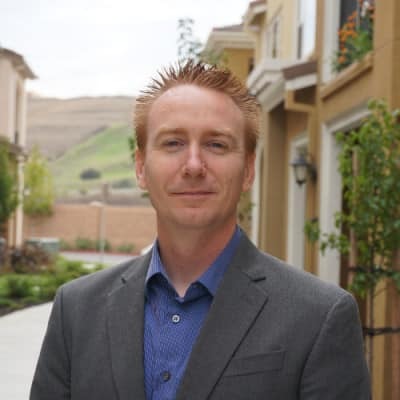 A study by Coldwell Banker Real Estate found that 62 percent of agents are seeing more buyers interested in managing and controlling the technology in their home through a device – a smartphone or tablet – more than they were just two years ago. 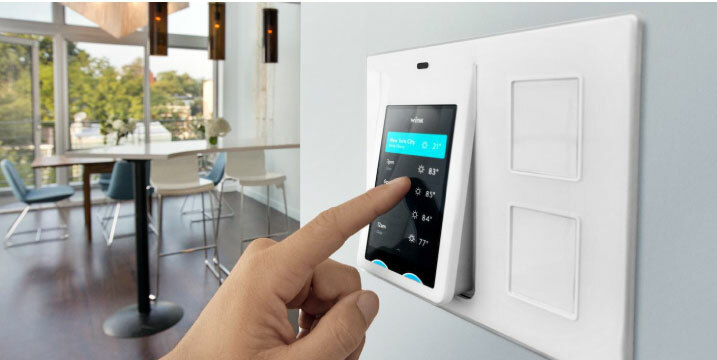 The United States leads the way in overall smart home adoption, with the estimated number of smart homes estimated to rise from 4.6 million to 24.5 million in just five years. And kitchens? Smart kitchen products and connected appliances are smarter, sleeker and greener than they ever have been. As an innovator, you owe it to yourself to stay ahead of your peers and give connected cooking a try, right? 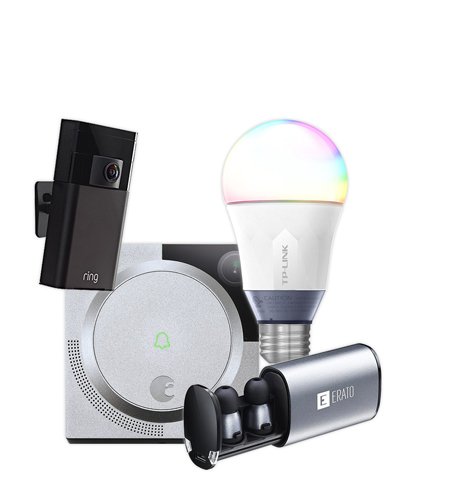 If you’re ready to take the leap into building your smart home kitchen, our top must-have items are here. 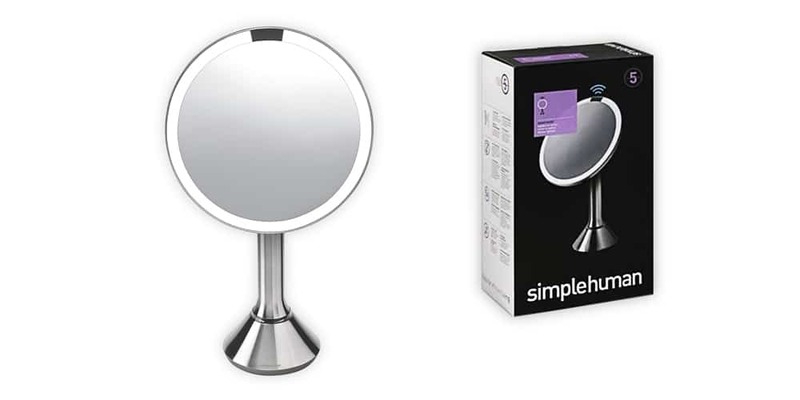 These products were selected by reviewing hundreds of product and review sites, taking the highest average review for each and every selection. 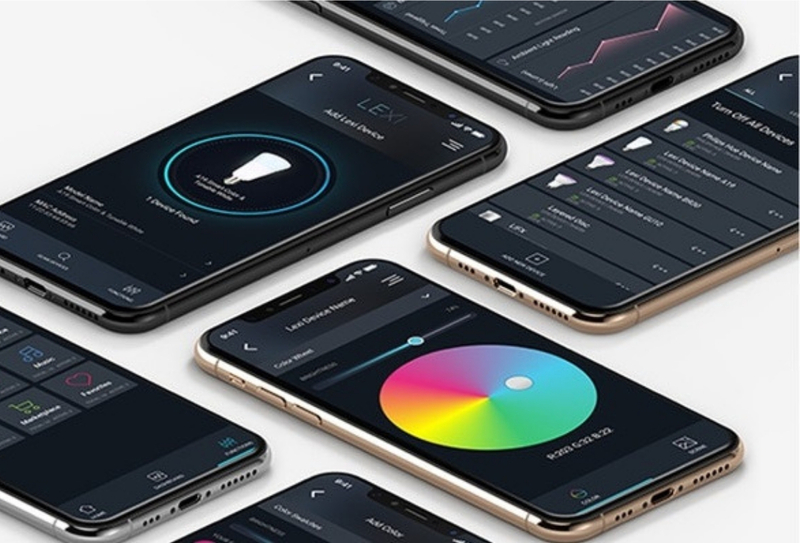 Not only are they effective and innovative, they’re pushing the boundaries of the smart home and are prepared to make your kitchen greater than every before. What are smart kitchen products? 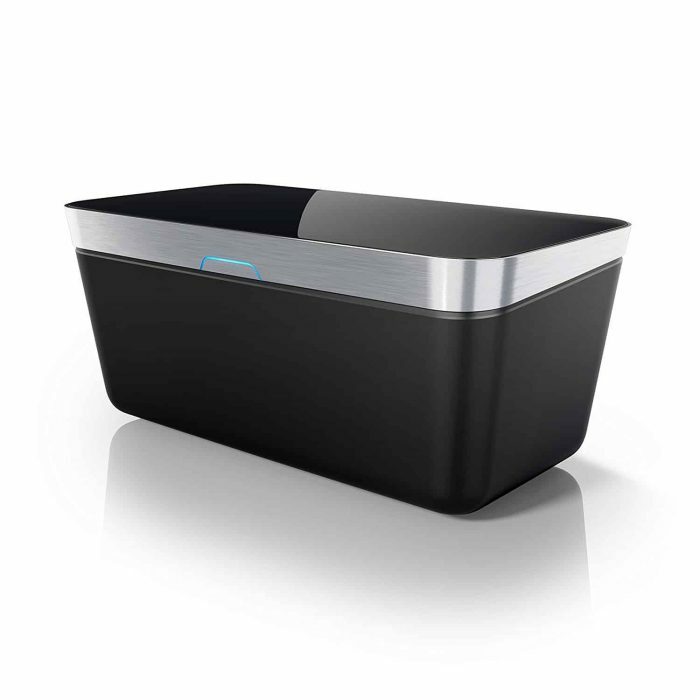 These are products for your kitchen that are connected – that is, they are connected to your smartphone through Bluetooth or Wi-Fi. Who doesn’t want to have a connected kitchen? Not only can it make your lives easier, it can help you become more efficient as a home chef. 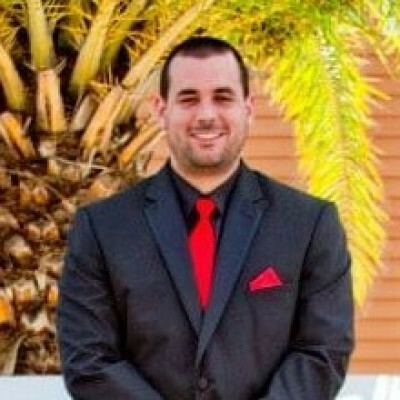 I’ve included products from $10 to upwards of $500 on this list. Based on our research, these are the best smart home kitchen products for you. This was made for the most modern of kitchens. 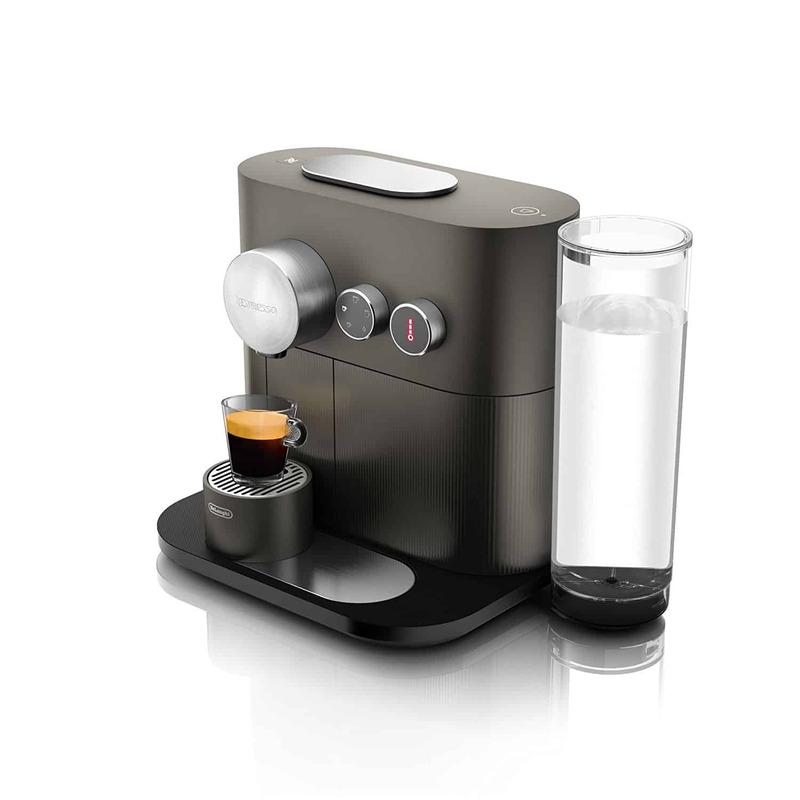 Not only does the Nespresso Expert Espresso Machine look like an impressive product to have in your kitchen, it’s filled with features that will make you the best barista on the block. Bluetooth technology enables you to create personalized coffee beverages, with three temperature settings that suit your needs. 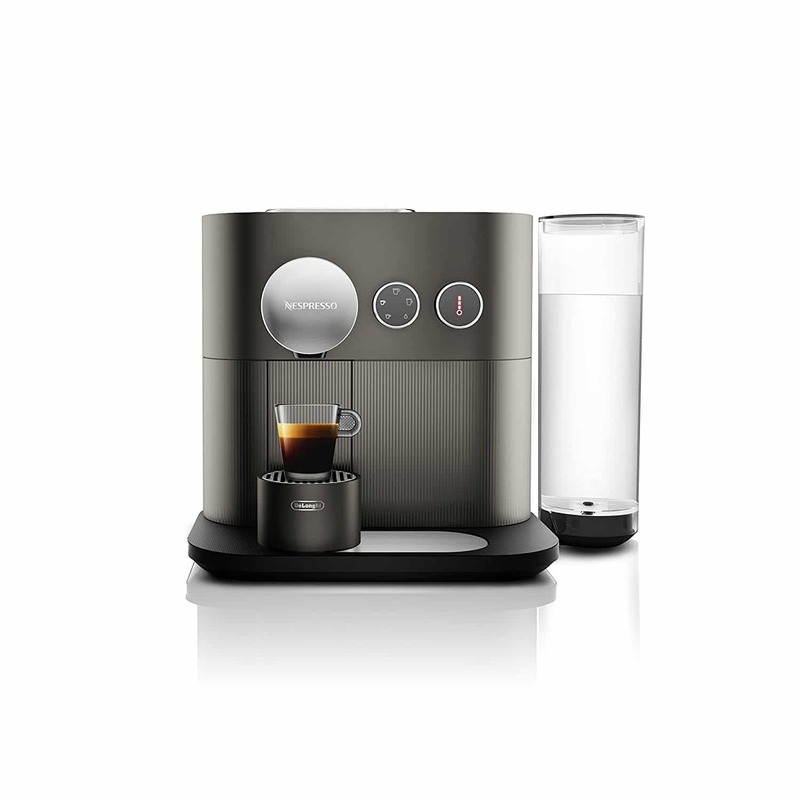 Being a connected machine means that you can schedule a brew time (like in the morning), order new capsules and more. I love coffee, and I love waking up knowing that I’ll have a fresh cup waiting for me. More importantly, though, I love having an impressive product in my kitchen. This is for those home dwellers who feel much the same. Makes whatever you like! Espresso, Americano and more. Need a reminder when your eggs are running low, old or going bad? You know when you’re just not quite sure if the eggs in your fridge are still in good shape to eat? The Quirky Egg Minder will solve your morning grind. Not only will it keep count of your eggs, it will tell you which ones are the oldest and which ones are going bad. This is the perfect product for you if you often find yourself at the grocery store wondering if you need to buy eggs or have enough at home. No more will you come home with a dozen and realize you had already had what you needed, meaning wasting space in your refrigerator and money! 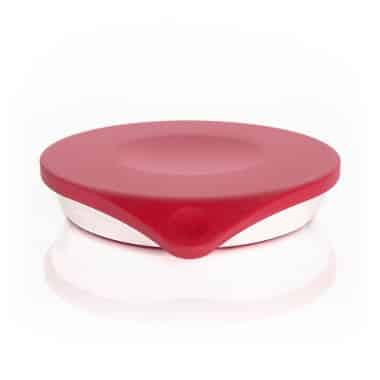 With this Egg Minder you will always know where you stand in regards to the eggs in your home. It’s a whole new way to cook. Sous Vide Precision cooking is a relatively new concept, but one that home cookers often swear by. Why? It’s essentially fool proof. Precision cookers make it easy to get professional results at home, circulating water around the pot while ensuring consistent temperatures throughout your ingredients. 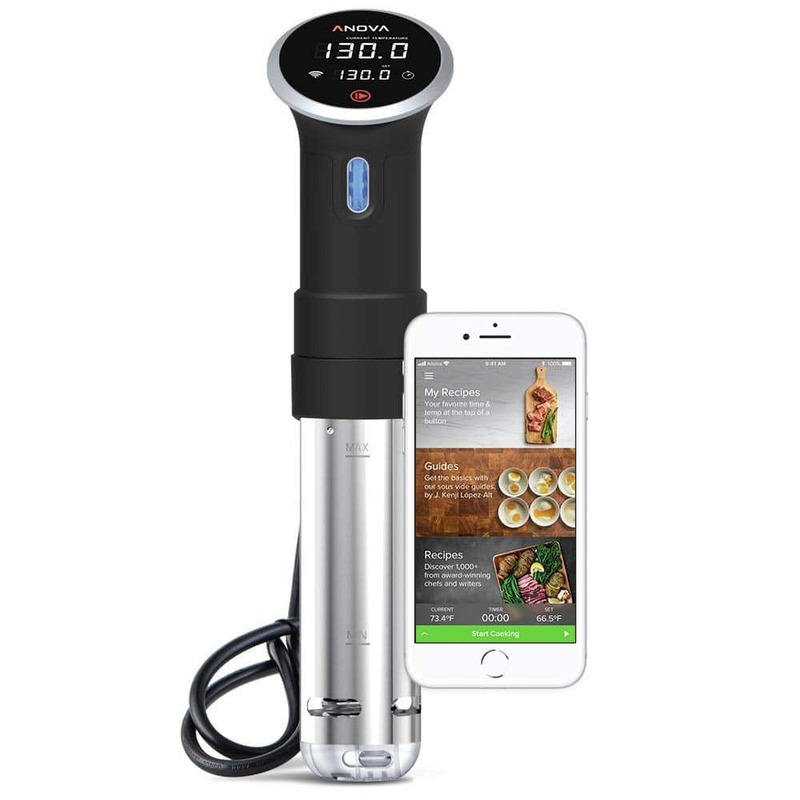 The best part is that the precision cooker – the Anova – also connects to your phone via Wi-Fi or Bluetooth, allowing you to cook your meals with the touch of a button. Their new app allows you to schedule a cook so you can come home with a perfectly cooked meal. 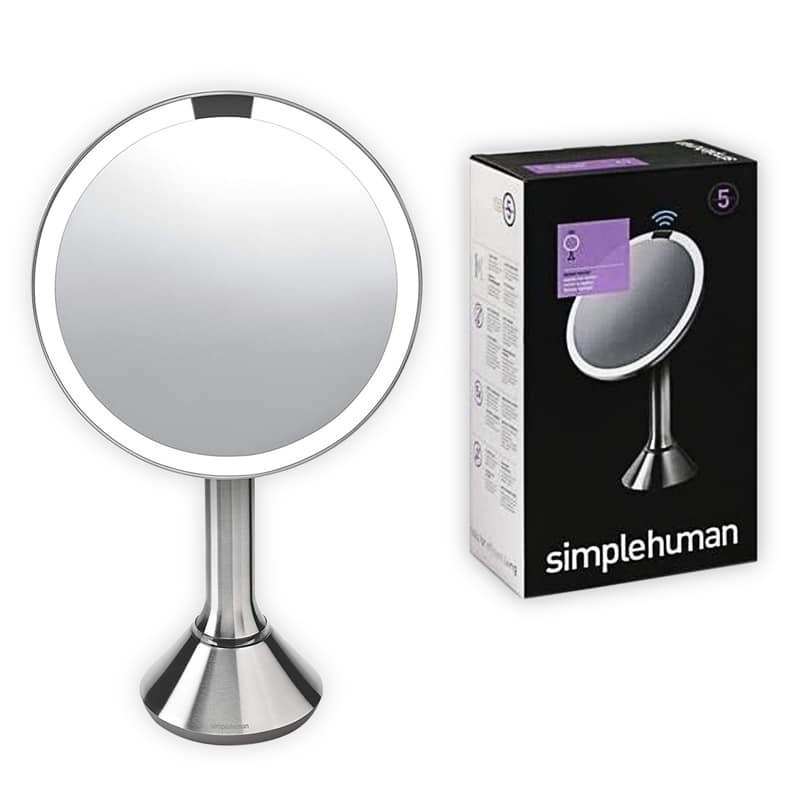 This product is perfect for pretty much anyone! It’s great for people who tend to over cook their meals because Precision cooking holds food at a precise temperature. It is also great for more experienced chefs because it will give them delicious results they are used to. 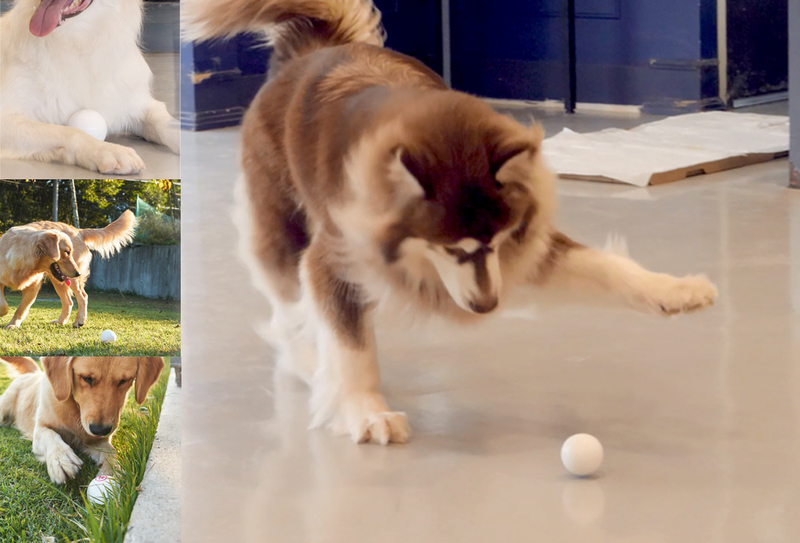 It doesn’t matter your skill level, everyone will enjoy Precision. The scale that’s always there when you need it. 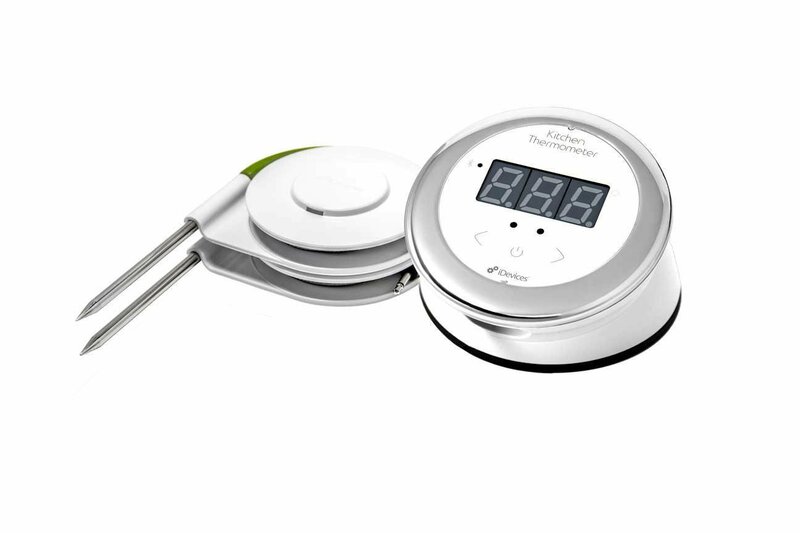 The Drop Kitchen Non-Slip kitchen scale is equipped with Bluetooth connectivity and acts as a combination cook book (with hundreds of pre-loaded recipes), and scale. It allows you to connect your scale to your smart phone or tablet via the Drop Kitchen app, then receive step-by-step instructions for preparing your meal. Additionally the scale will alert you as you add ingredients. If you need to add a little more of one ingredient, or if you’ve added too much of another, the drop Kitchen non-slip silicone connected kitchen scale will let you know and tell you how to correct it. Want to prepare the perfect meal every time? If you answer is “yes please!” then you need the Drop Kitchen Non-Slip Silicone Connected Kitchen Scale. Also, it is great for those who with a special recipe and need consistency every time. It really takes the guesswork completely out of the equation. Similar to the Anova Sous Vide, the Wemo Crock Pot Smart Slow Cooker is seriously a lifesaver. This device connects via Wi-Fi and can be monitored and turned on and off using an iOS or Android mobile device. As well, you can also use an app to adjust temperature and timing on the fly. 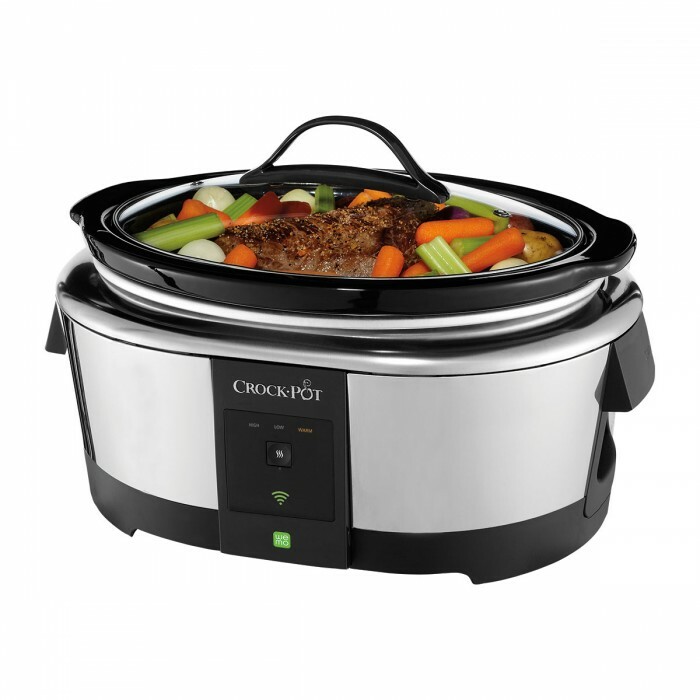 This is the ideal crock pot if you are a busy and/or working person. It allows you to set the device in the morning and return home from work with a fresh meal, control your dinner from the office and even speed up the overall cook time if arrive home earlier than expected. All from your smartphone too. The ultimate smart home kitchen product. If you cook meat, you should always have a food thermometer nearby. 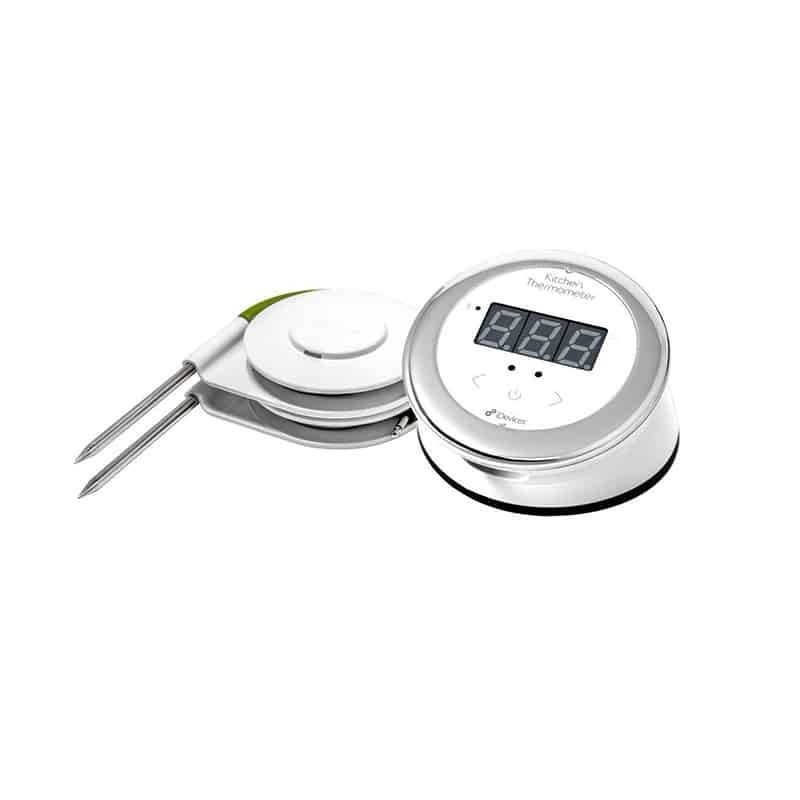 The iDevices Kitchen Thermometer is a dual-probe Bluetooth thermometer that allows you to check on the progress of your meal right from your smartphone. (We love smartphone enabled cooking devices, can’t you tell?) A companion app includes recommended cooking temperatures for just about every protein you can think of, which saves tons of time as you’re quickly whipping up your meal. It’s a go-to smart home kitchen product. You should obtain one of these for yourself for a few reasons. First, it is just important that every kitchen has a reliable thermometer to use while cooking meats. Second, It is really helpful if you need to step away — say to check your kids are doing your homework or entertain a guest — you don’t need to worry about over cooking anything. Third, you can measure two pieces of meat at once! Enjoy your food up to 5X longer. 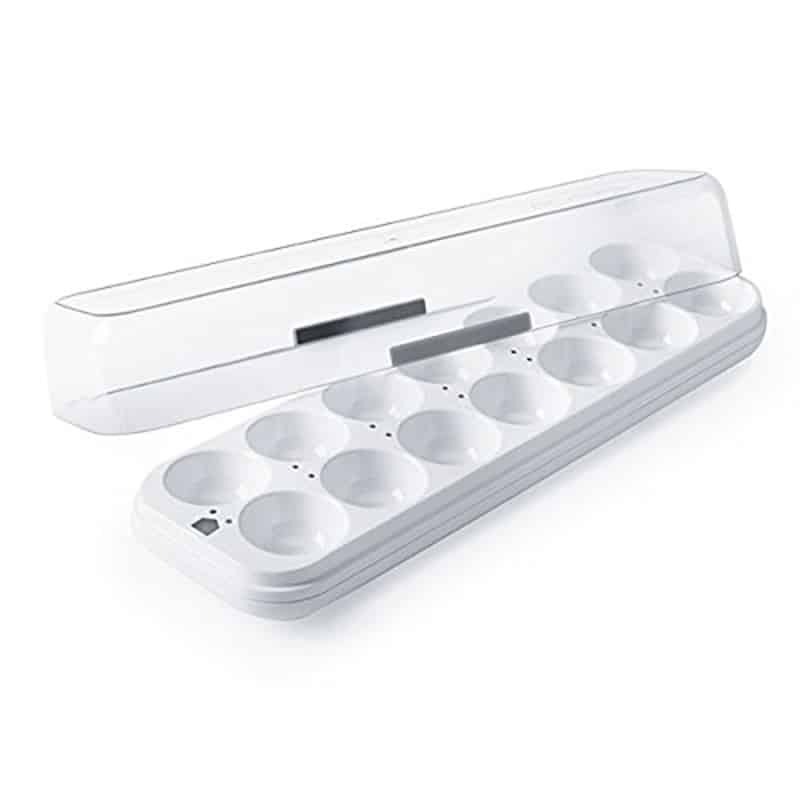 The Vacuvita Home Base is a great way to store food on your kitchen countertop. Instead of taking up space in your cupboard or kitchen, this system vacuum seals its contents every single time it is closed. This means that you can reduce waste (because food will last much longer) and the associated app will also help you keep track of your stored foods so you know when it’s time to eat them. Never eat an unripe avocado again. 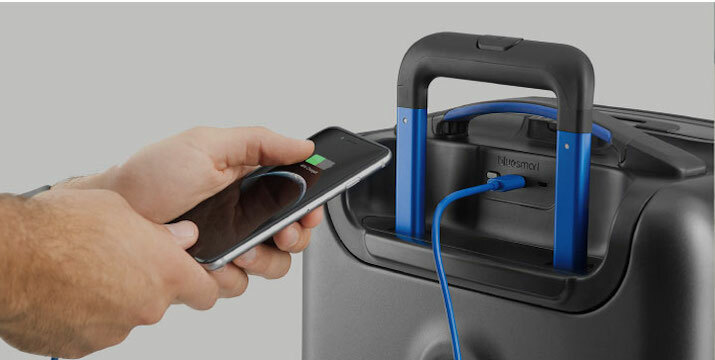 It’s also perfect for travel, or for a chef on the go. If you find that you are always running out of food, only because it expires on your counter, this is for you. Ideally for the busy user who is looking to keep track of their perishing food much more closely than ever before. Be sure to drink your water! 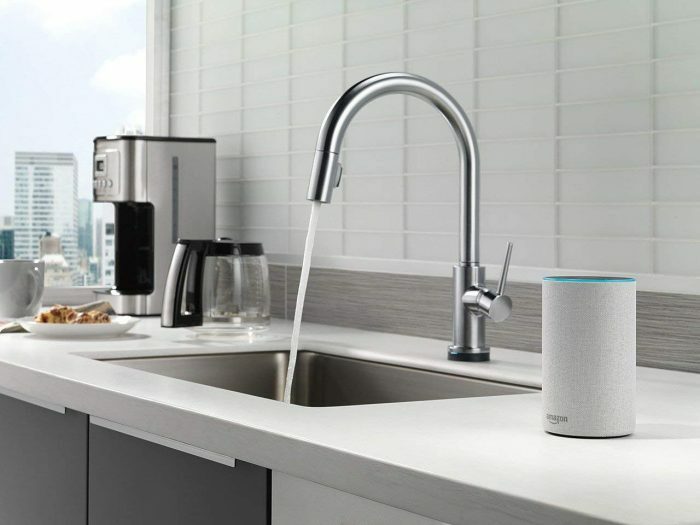 The Brita Infinity Smart Water Pitcher is a Wi-Fi enable pitcher that tracks usage, check filter quality, and automatically orders its own replacement filters through Amazon Dash Replacement. This little pitcher just wants to make sure that you are never without a fresh, safe, and delicious drinking water at home. It’s a stellar smart home kitchen product. 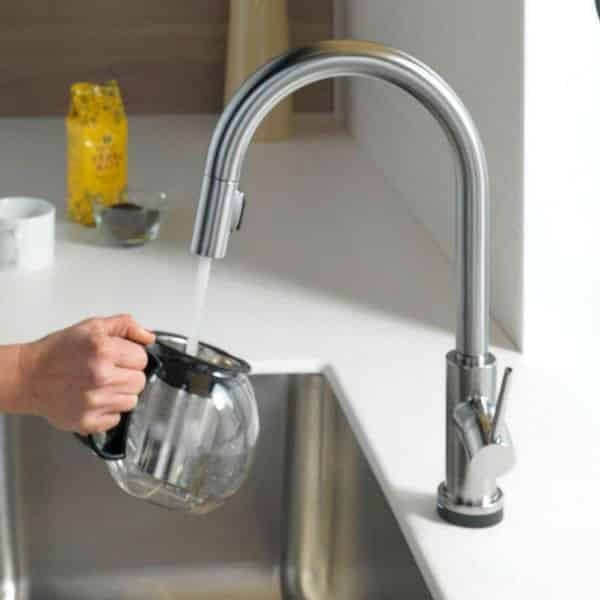 It is made of entirely BPA free plastic and equipped with a dual screen carbon and ion-exchange-resin activated filter, which reduces contaminants, the taste and odor of chlorine, zinc, copper, mercury and cadmium. 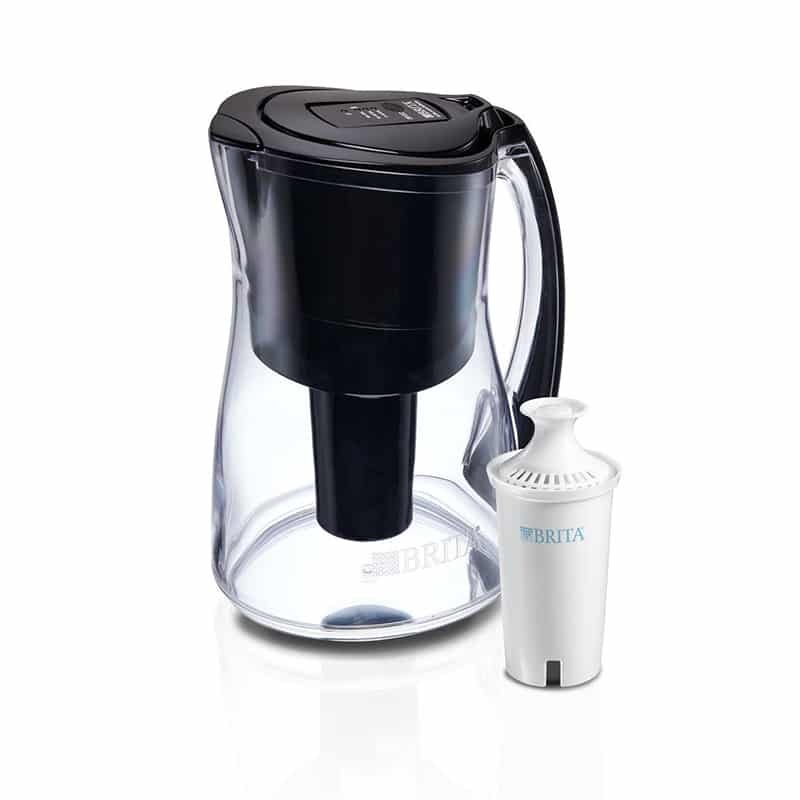 Brita Smart Pitcher is for people who are particular with their water intake, ensuring that they only drink clean ones. (Think of parents who only want the best for the kids.) It’s also a convenient partner in the kitchen because it orders a new filter when the current one is not suitable to use anymore. Finally, you are sure that you’re only drinking healthy and clean water every single day. Who doesn’t love a clean home? 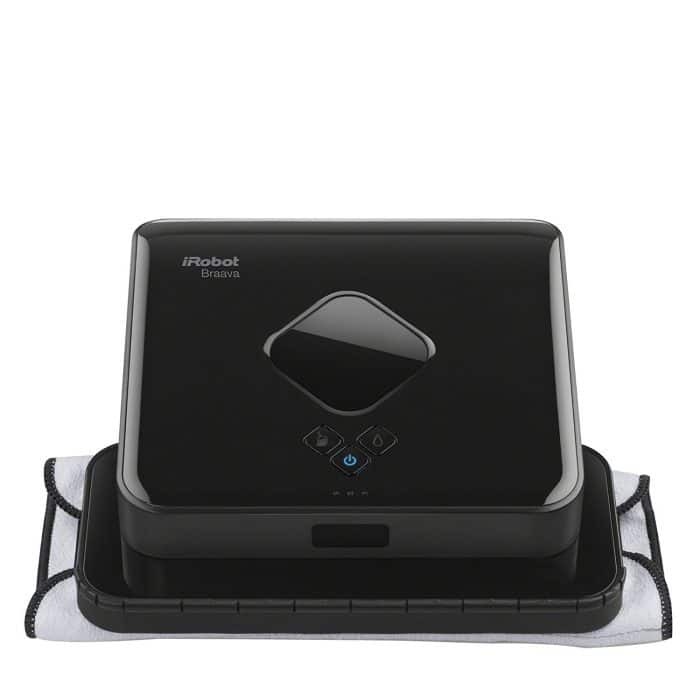 The iRobot Braava 380t Mopping Robot is a cleaning, mopping robot that won’t stop until the job is done. And that’s just what I like to hear. This product works in two modes: dry sweeping or damp mopping. 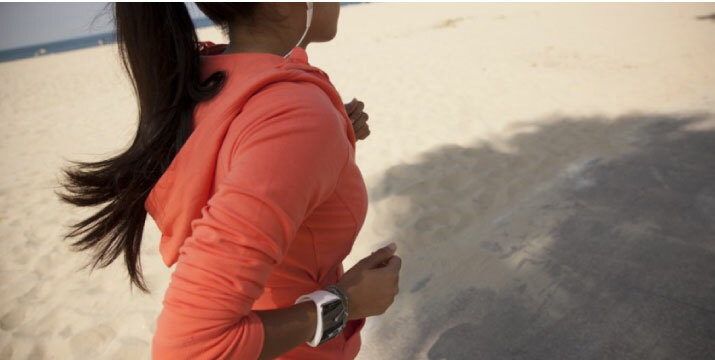 It has a navigation system that works like an indoor GPS, which helps Braava keep track of where it has already cleaned and where it still needs to go. This function works because it has an associated NorthStar Navigation Cube, which projects a signal that the product uses to determine its location. 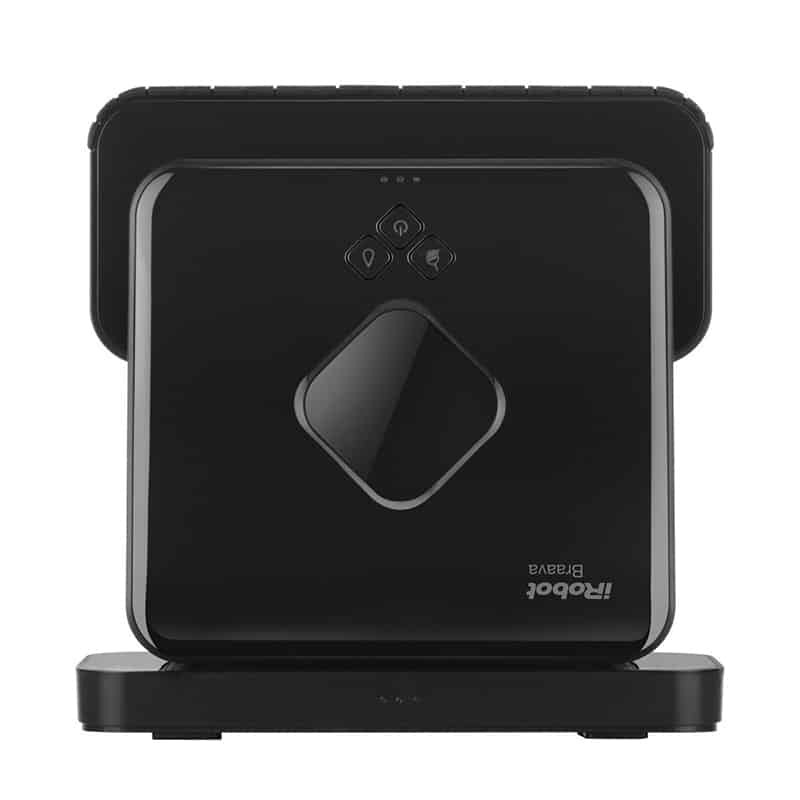 As Braava cleans, it uses this signal to build a map of the area, such as walls, obstacles and more. Genius, right? You should get this if you, like me, can’t stand the thought of cleaning. Cleaning toilets and mopping floors? Not for me. So, this product is sure to save the day. Have you ever thought that a kitchen faucet could make cooking easier? The latest faucets these days have touch on/off so you can keep the temperature consistent and don’t have to get the handle messy. But now there’s the Delta Trinsic Alexa enabled faucet that just brought cooking to a whole new level. Looking to pour exactly one cup of water into your baking bowl? Ask Alexa, “Pour one cup.”, and it’s done. Same with warming the water or generally turning on or off when you have messy hands. 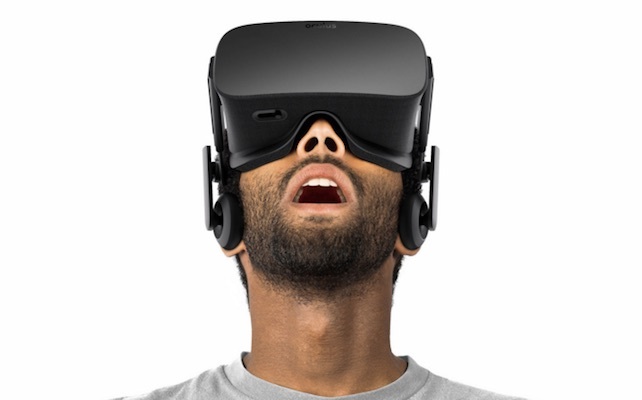 It’s an unbelievable piece of tech I think that once you use it, you won’t be able to live without. Do you love to cook and find that messing with exact quantities or messy hands are an issue? 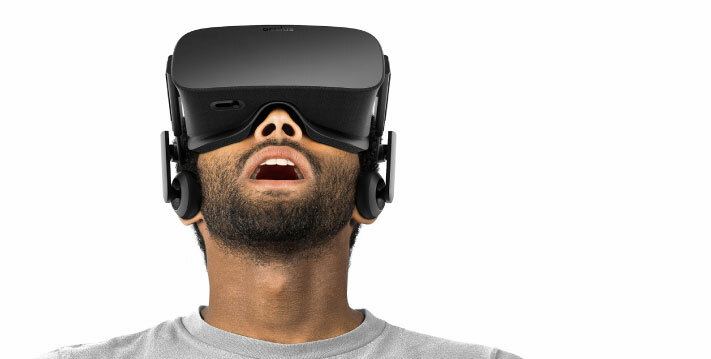 Do you just love tech and have to have the latest in your kitchen? Then the Delta Trinsic is for you! The smart home kitchen products are here – and it’s here to stay. With innovative and revolutionary products emerging from start-up organizations to large corporations alike, smart kitchen products are developing at a rapid rate. We’re excited to join this remarkable ride ahead. For those of you who love to cook, let us know what your favorite smart kitchen gadgets are in the comments below! Here are the best media players comparison. 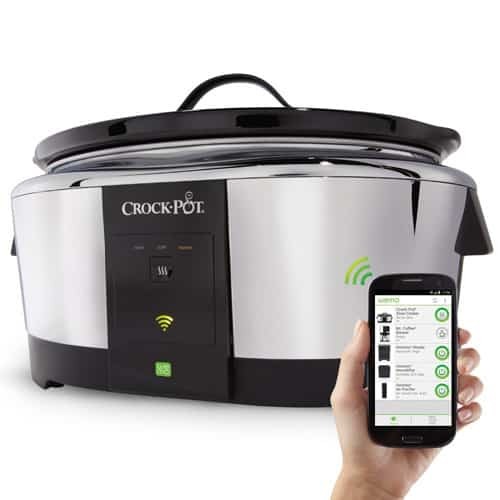 Users love crock pots and the connection!